11 days. 11 different actions. 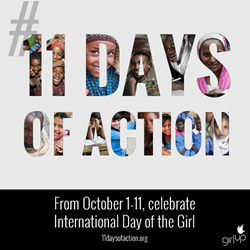 From October 1 to 11, stand up and support girls around the world with #11DaysofAction. 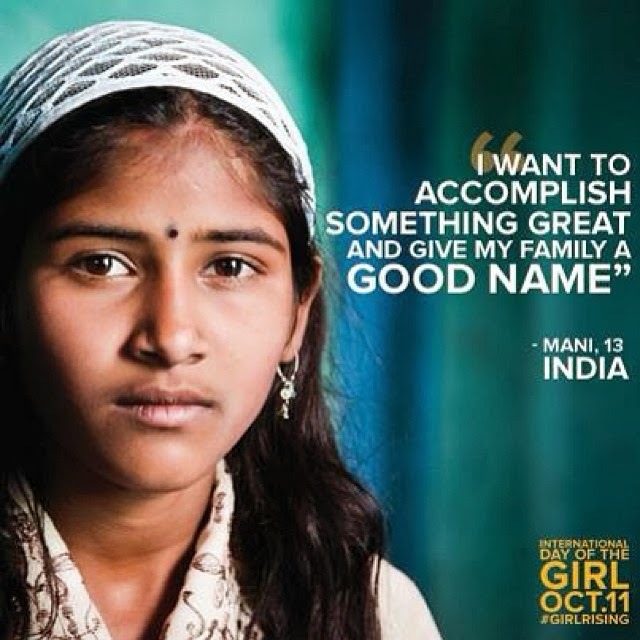 October 11 is International Day of the Girl. The United Nations declared this day to recognize the potential of girls, especially those in developing countries, as a strong force in ending poverty. In honor of International Day of the Girl, we have launched 11 Days of Action, an initiative that encourages people to take part in a growing movement to advocate for the needs and rights of adolescent girls around the world. 11 Days of Action is a celebration of the strength of girls in developing countries and the passion of Girl Up supporters to make a difference. In many places around the world, adolescent girls don’t have the chance to go to school, see a doctor, or stay safe from violence. Studies show that when girls are empowered, they strengthen their families and communities, helping to break the cycle of poverty. Starting today and leading up to October 11, each day will offer a new call-to-action, along with the story of an inspiring girl and the profile of a celebrity or public figure who is active in the fight for girls’ rights. Think about all the photos you take every day. 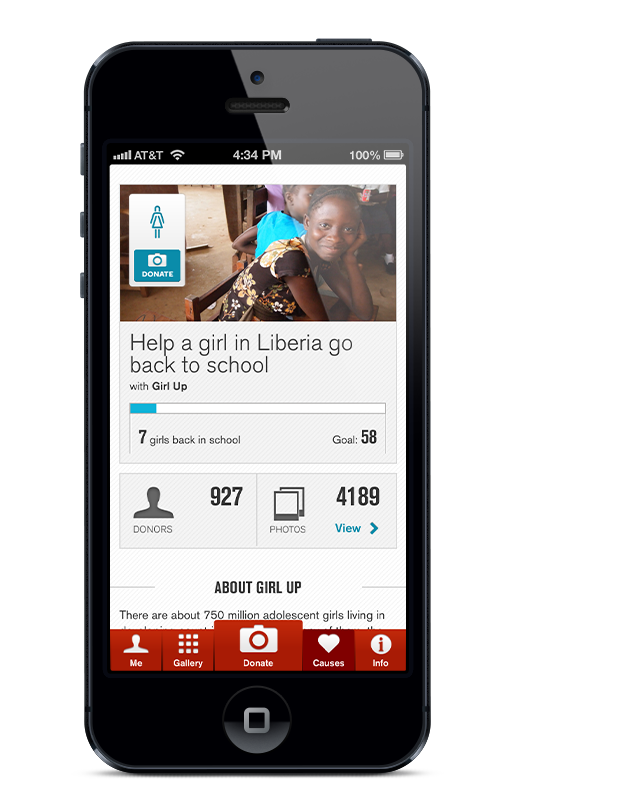 If you share just one photo using the free Donate a Photo app, Johnson & Johnson will give $1 to help Girl Up send 58 girls in Liberia back to school. So, are you in? Learn more, take action, and spread the word through #11DaysofAction! 11 days. 11 different actions. What will you do to help girls around the world?